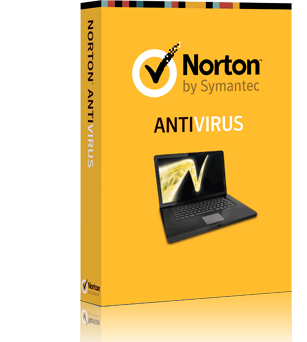 Norton Antivirus 2015 software by Symantec helps you to protect your PC by detecting, tracking and removing harmful viruses and spyware. It features PC file deep-cleaning, email scanning and up-to-date delivery of the latest in virus protection. New to the 2014 version are threat-removal layer protections that go after threats that other antivirus programs miss, and automatic installation of updates throughout the year. Added to that protection insulation is free 24/7 technical support by phone, live chat or online. Exclusive to Norton Antivirus are features like browser protection that stops and blocks online threats as your browser loads, or Download Insight 2.0, a sub-program that analyzes applications before you load them and identifies unsafe or potentially harmful threats. Also exclusive to Norton Antivirus is Norton Management, which is a cloud-based control program that allows you to fix, renew or update your Norton Antivirus program, and groups together protection for all your devices like your tablet, smartphone or tablet. Norton has improved on several of their threat-level features, including SONAR behavioral protection and Live 24/7 Threat Monitoring. SONAR basically monitors your PC for suspicious activity while the 24/7 Threat Monitoring constantly searches a global database for new threats and keeps you up to date with solutions to eliminate those threats. Five patented layers of protection detect and eliminate threats quickly and accurately. Proactively protects you by checking for and blocking online threats as your browser loads, to stop online threats before they can do damage. Stays ahead of, detects and eliminates threats that haven't been invented yet by watching your PC for suspicious activity. Targets and eliminates hard-to-remove threats that less sophisticated products often miss. Improves performance by identifying safe files and only scanning unknown files. Protects you from dangerous applications before you install them by telling you if they are harmful or unstable. Norton automatically sends you important product and feature updates throughout the year. The latest version installs without you needing to do anything. Norton offers expert help and answers by phone, live chat or online. Cloud-based controls let you fix, update, renew and install Norton AntiVirus over the Internet with a few clicks. It brings together your available Norton protection for other devices, like your Mac computer, smartphone or tablet, in one place. Automatically adjusts Norton data usage updates when you connect to 3G networks to avoid using up your monthly data allotment or causing overage fees. Stops cybercriminals from using security holes (vulnerabilities) in applications to sneak threats onto your PC. Updates your protection every 5 to 15 minutes, without disrupting you.